So this started as an antidote to articles such as the Guardian’s Secret Teacher. Such articles often complain about teaching, or moan about the inability to do the job as it might be or even should be. I don’t disagree with much of the sentiment but I ( and other tweeters) constantly found ourselves depressed about the job we have done for a long time, that we enjoy and that we see much reward from. Like other jobs if you really don’t like it you have to move on. 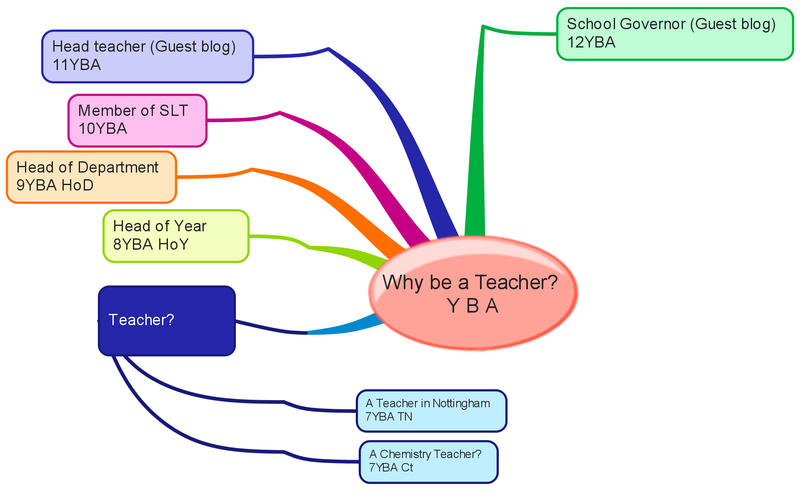 So here is my attempt to show you reader there is an attractive side to the job of a teacher, and further to a career path including head of Department, Head of Year, and Senior Leader. I am very grateful to @jillberry102 for guest posting on ‘why be a Head?’and @5N_Afzal for her excellent post on why be a governor? Very pleased that an ex student from my school @chrishall1204 wrote me a piece about doing a PGCE on the day he completed his in Nottingham. Don’t you just love twitter? There are of course books and blog posts written about this which I might list but this is a simple area which I hope other tweachers and blogging teachers might help me to improve. If we can’t convince the next generation what a great job it is in a classroom, or running our schools, we will have done a big disservice to the profession whatever good we have done for children we have taught. If you work in a school you will understand a strange language for “setting” with X and Y and stuff trying to confuse all teachers and pupils BUT they still get to the right room at the right time. But it might explain my odd personal coding here. and do read this January 2015 Guardian Secret Teacher because it is so positive in so many ways, and one many of us would agree with. You might like to read other posts from my timetable of teaching – each is set out from lesson in the school week, before or after school or at the weekends, appropriate to the time of day. Shortly I am starting a new area about progress from one role or experience in teaching to another with hints and tips about successfully moving on in the job and your teaching career.